As Halloween quickly approaches, what better reason for dressing up and celebrating the occasion than knowing you’re supporting a good cause? 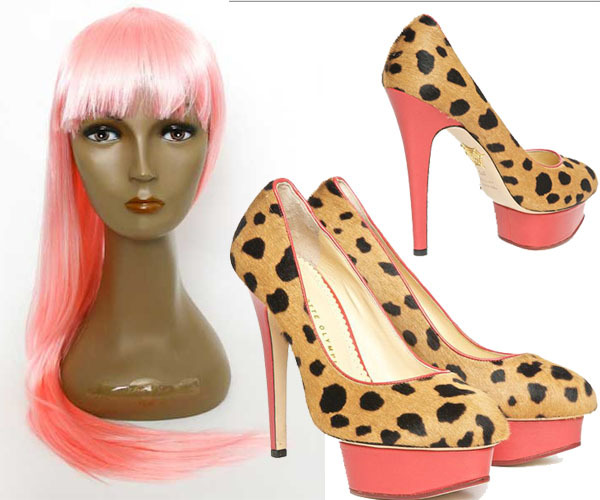 In honor of breast cancer awareness, the internet’s premier names for wigs, hairpieces, extensions and accessories, Paula Young, Especially Yours and Wig.com invite you to show your support and gather your girlfriends for a Pink Wig Party. Everything necessary to host the wig parties, from sample wigs, product information, cocktail recipes and more, will be provided in pre-packaged kits that will be given away to fans who best express their passion for the cause and for hair fashion. Nicki Minaj released her album cover today for her upcoming album, “Pink Friday.” And with her being an advocate of barbie, the artwork displays her with long, plastic looking legs reminiscent of a Barbie Doll. You can visit Paula Young, Especially Yours and Wig.com to learn more about their commitment to this cause. Each outlet is spotlighting pink wigs and hair accessories for the cause-conscious fashionista and now you have the chance to throw a Pink Wig Party as your own show of support, or simply purchase a pink wig for a portion of the proceeds to go towards breast cancer awareness.